There’s no better way to support the entrepreneurs that we work with, than being a part of the policy discussions with lawmakers. Idea Buyer founder, Eric Corl, will be on the panel discussing policy changes that need to be made to encourage start up and small business innovation. Small Business Policy Expo 2019 will feature conversations with leading small business advocates, friends in Congress and the Administration about the state of entrepreneurship and small business growth, and the policies needed to enable both. A “Ready to Launch” reception honoring new Members of the 116th Congress will conclude the day. The Small Business Agenda 2019: Consensus for Action? The nation’s leading small business advocates discuss key areas for bipartisan collaboration in 2019. 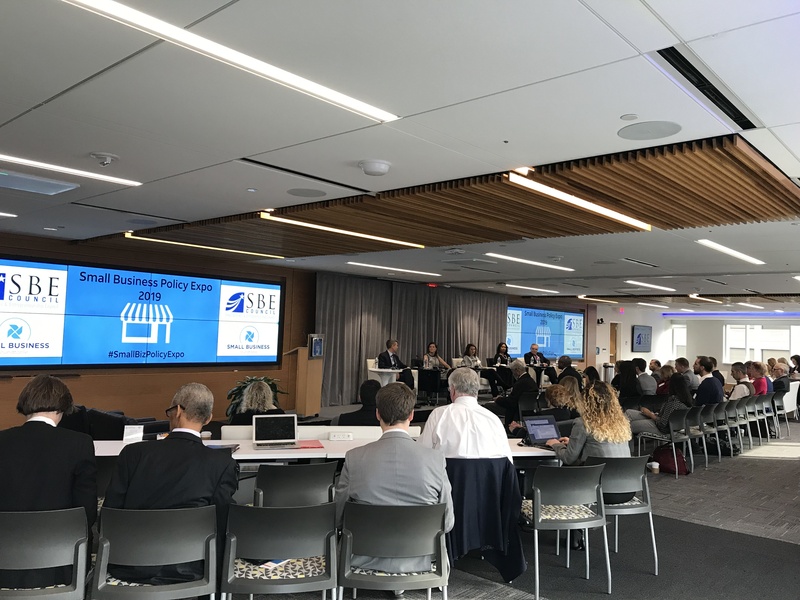 Small business leaders and policy advocates discuss how change on Capitol Hill and existing policies could create uncertainty for the economy and entrepreneurs. Entrepreneurs and leading experts discuss the future of USMCA, trade accords in the pipeline, and the direction of the Administration’s trade policies. What policies are in the works to support innovative startups, strengthen U.S. competitiveness, and enable a more dynamic economy? Panelists will discuss capital formation, empowerment zones, workforce challenges and other key issues. Join us for food and refreshments in honor of the new Members of the 116th Congress. Meet the leaders of the nation’s leading organizations representing small business owners and entrepreneurs!